"With 3.2 million copies of her Immortals series in print, Alyson Noel is one of the hottest paranormal teen authors writing today. EVERLASTING is the sixth and final instalment of the epic love story that has enchanted readers across the world. Ever and Damen have spent centuries facing down bitter rivals, jealous friends and their own worst fears - all in the hope of being together forever. 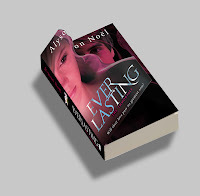 Now in EVERLASTING, their destiny is finally within reach. Will they be united ...or torn apart forever? Readers will finally discover the truth in this anxiously awaited conclusion!" I cannot express in words how much I loved this book. This is definitely what a last book should be like. I can honestly say this book kept me thrilled and going till the very end, and it had everything I wanted. 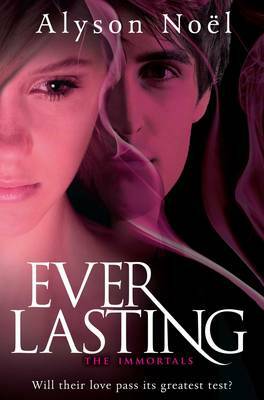 Love, Magic, Immortals, Reuniting and a very surprising twist, especially at the end. I was so looking forward to this book and it was fantastic. Some people quibbled about the ending but I think it was perfect. Definitely the best book in the series and a brilliant way to finish it. The plot was so bloody immense; I was gripped from the first page. I felt everyone played a big and fun part in the whole book and everyone was stretched out to their full potential. The story line was complex but not hard to follow. Everything was orderly, one after the other and not all going on at the same time. It was filled with Magic, Mystery and Lurrrv! I have to admit there are many surprises and many normal things that we have been waiting for to happen that do finally happen in the Last Book. Oh, and by the way, if anyone doesn’t like this book they must be insane, because It was amazing! The Writing in this book was as good as ever. 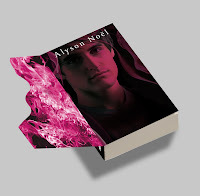 Noel keeps and nice consistent flow with a balance of description, dialogue and thought, though I this book edged slightly towards the Description side of the triangle which worked well as they was a lot to describe. As usual Noel’s writing in beautiful! It kept me interested and following the whole time, and I have to confess I stayed up a lot later than I should have reading this amazing novel. I felt closeness to Ever in this book but so many other characters were introduced. I mean Damen was Alrik before he was reincarnated as Damen and Ever was Adelina. And Lotus! How could we forget her? I mean she was the one who started this whole thing right? Without her none of this would have happened. I felt she was pretty cool and I like reading about her past. Also Haven makes a Return along with Drina and Roman who all apologize to Ever! I think my favourite characters were Ever and Lotus. Lotus just for her total awesomeness and a cool name and Ever because in this book she really exposes her past and for once doesn’t doubt Damen in any way. I was so surprised when both Ever and Damen turned Human! I mean eating the fruit from the tree and becoming Human! I also loved it where Ever Confessed to Sabine everything, because Sabine kept her cool and looked all disbelieving when in her head she was probably screaming : “Oh my God! This is so fricking awesome!” Finally, It was definitely coming, but they finally did it! And then... Happily ever After! This book is amazing and I love it so much. It thrilled me to the core, and All I can say after that is, Epic, Epic, Amazing, Immense, Intense, Immortal filled book. Oh an also, the cover is totally awesomely cool! Check out some pics below, and click on them for larger view.